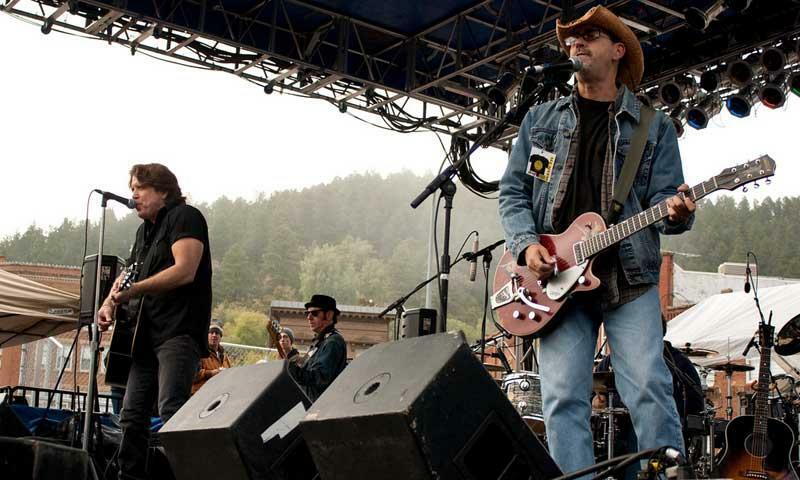 Noted as the best music festival in South Dakota, the Deadwood Jam is a first class music festival in the fantastic, mysterious setting of the Dakota Black Hills in historic Deadwood, South Dakota. The Deadwood Jam is an example of the magic and mystic of the old west. From celebrated acts to newcomers, the music talent flock to this music scene year after year. Overview: The Deadwood Jam has a great reputation for fun and entertainment and usually pulls in a large crowd of appreciative attendees from the three state region that includes Nebraska and Wyoming. When: A two day festival from September 15th-16th, 2017. Where: The event actually takes place in front of the saloon where Wild Bill Hickock played his last hand. Fees: Some concerts are free. some require an entry fee. Details: Started in 1990 by John McEuen and continued by a dedicated group of professionals, the Deadwood Jam provides two days of great music entertainment. The event starts at high noon each day and the music continues to at least 10:00 pm. The Fabulous Thunderbirds, John Mayall, Suzy Bogguss, Jerry Jeff Walker, Delbert McClinton, Nitty Gritty Dirt Band, Arlo Guthrie, Poco, Leon Russell, Rare Earth, Ozark Mt. Daredevils, Firefall, Atlanta Rhythm Section, Jack Elliot, Allison Kraus, Doug Kershaw, Koko Taylor, Edgar Winter, Jefferson Starship, Michael Martin Murphy, Yellowman, Asleep at the Wheel, Johnny Winter, Corey Stevens, Big House, Dave Mason/Jim Capaldi - Traffic, The Wailing Souls, The Georgia Satellites, Kenny Wayne Shepherd, Big Head Todd & the Monsters among others, have all performed at the Deadwood Jam.